With/Without return of premium With return of premium (ROP) plan is a term insurance plan in which the policyholder will receive the total value of all premiums paid into the policy at the end of the term, provided the insured does not die and the policy remains in force. Without return of premium plan is a pure term insurance plan where beneficiary get the sum assured on the death of the policyholder within the specified period. Pure term plan provides no return on maturity. This is the minimum amount of money that the policy will pay out to the nominee in case of the insured's death. Please enter your E-mailPlease enter valid e-mail ID. Please enter Mobile Number Enter valid Mobile Number & starts with 7, 8 or 9. Please enter valid STD Code of Contact No.Please enter valid Contact No. What is Investment Plan ? Because, human life is unpredictable, a person needs to plan about his/her future. An Investment Plan is a life insurance plan that combines investment and protection along with systematic accumulation of wealth. Why go for Investment Plan ? Investment Plan provides us the assurance of lump sum funds for us and our families' future expenses. It increases our savings, enhances protection and provides good returns over the medium to long run with flexibility and liquidity. We can ensure that our families always remain financially secure, even if we are not around. How to buy Investment Plan ? You can buy Investment Plan online. InsuringIndia facilitate you to compare quotes from various insurers and help to find the best suited quote for you. It is good for everyone because it fulfill your investment needs and provides secure financial protection for you and your family at every stage of life. Avail tax benefits under Section 80C as per Income Tax Act, 1961. Human life is unpredictable thus a person need to plan about his future. Investment plan provides good returns over the medium to long run with flexibility and liquidity. It provides an optimal mix of insurance and investments by protecting your family against any mishappening and building a corpus for your future. 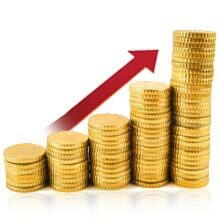 The investment plan provides regular long-term savings and systematic accumulation of wealth. Investment Plan offers the assurance of lump sum funds for you and your family's future expenses. While providing an excellent savings tool for your short term and long term financial goals, these plans also assure your family a certain sum by way of an insurance cover. With Investment Plans, you can therefore, ensure that your family always remains financially independent, even if you are not around.